Livable City continued to be the city’s leading voice for livability, in the media, in City Hall, and at public forums. This year, we organized a three-part forum series and brought in the leading experts in seamless mobility, the future of our downtown, and streets as public spaces. Local and national news outlets covered everything from Sunday Streets and Curbing the Caltrain Cluster to planning and zoning changes and the need for reduced minimum parking requirements. Livable City supported four local ballot measures – an Affordable Housing Bond, defining clean energy, a Legacy Business Fund, and Surplus Land for Affordable Housing – which were approved by San Francisco voters in November. Looking ahead, we’re planning more public forums for 2016 – let us know what topics and perspectives you’d like to see on future panel discussions. We’ll continue advocating for a more livable city while supporting neighborhood projects and initiatives. Two elections next year – June and November – are sure to have ballot measures that impact the city’s livability. Sunday Streets celebrated its eighth season with eight monthly events in neighborhoods across San Francisco. 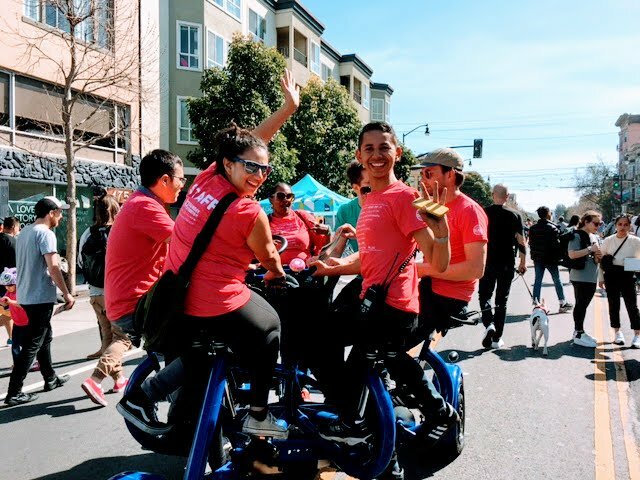 Sunday Streets has grown into one of San Francisco’s most popular recreation programs, and this year deepened partnerships with communities, including Excelsior Art Walk and Excelsior Festival, Tenderloin community groups, and in other neighborhoods throughout the city. Looking ahead, Sunday Streets is planning another eight events for 2016. We are working with SFMTA to make it easier to organize and permit neighborhood play streets events, and beginning planning for weekly car-free space in more parts of the city. Housing affordability remains one of the City’s greatest challenges. Two years ago we published our action plan for housing, 23 recommendations for making San Francisco more affordable while keeping our city livable and green. 2014 saw many successes, with even more in 2015. Affordable Housing Bond. San Francisco passed its first ever Affordable Housing Bond in November, investing $300 million towards preserving and building affordable housing. Protecting Existing Housing. Livable City helped author new protections for housing units originally built without permits. These reforms, recently endorsed by the Planning Commission, will help protect an estimated 20-30,000 housing units built since 1960, most of which are rent-controlled. New Accessory Dwelling Units (ADU). Adding new units in existing buildings is a smart and a green way to add housing in established neighborhoods. Livable City supported planning changes that permit new units in existing buildings in Supervisorial districts 3 and 8. The Planning Department estimates that these measures will create 2,500 new rent-controlled units, and as many as 10,000 if more eligible buildings add units. Surplus land for affordable housing. Livable City supported the reuse of city-owned parking lots and former freeway parcels in Hayes Valley, SoMa, the Northeast Waterfront, Transbay, Laurel Heights, the Mission, and the Castro for affordable housing. We endorsed a ballot measure prioritizing use of vacant and underutilized city land for housing, which was approved by the voters in November. Looking ahead, we’re advocating for the City to create its first-ever affordable housing plan, to help ensure that the City’s big commitments of land and funds are used effectively and wisely. We’ll work towards legalizing accessory units in more transit-rich neighborhoods, and lowering parking requirements to increase affordability and reduce traffic. We’ll work to expand protections for rental housing and the San Franciscans who live in them to include units originally built without permits. Transit Priority. The approval of last year’s transportation bond helped kick-start transit-priority projects on several of Muni’s most used routes in 2015. Transit priority projects were approved for Market Street, Haight Street, McAllister Street, Fulton Street, and Ocean Avenue. Thanks to the increased funding and advocacy from Livable City and other advocates and neighbors, more of Muni’s transit priority projects includes pedestrian and streetscape improvements, like curb extensions at street corners, moving towards a complete streets strategy that emphasizes safety, walkability, bikeability, greening alongside transit access. Caltrain. In June, Livable City joined with other advocates to rally for complete funding for Caltrain’s Downtown Extension to the Transbay Transit Center. The idea of removing the northern stub of I-280 gained traction as the Planning Department hired a project manager to advance the proposal. Removing I-280 will allow Caltrain to run underground north of Cesar Chavez street, re-knit the street network to connect Mission Bay with adjacent neighborhoods, reduce deadly traffic in South of Market neighborhoods, and free acres of land for housing and parks. Vision Zero. The City completed many of its low-cost projects in 2015, including hundreds of small painted safety zones and alterations to increase visibility. Livable City and our fellow Vision Zero Coalition members will advocate for fast-tracking major projects to create permanent safety improvements in our most dangerous corridors in 2016. Cycling. San Francisco’s MTA installed its first parking-protected bike lane on Division Street under the Central Freeway, which we will advocate to form the beginning of a citywide network of protected cycle lanes. Approval of a project on The Wiggle is the modest beginning of a bicycle boulevard network for the city. The Metropolitan Transportation Commission funded a major expansion of Bay Area Bike Share, which will begin expanding into more San Francisco neighborhoods in 2016. The Wiggle offers a relatively flat route between Duboce Park and the Panhandle, enabling bicyclists to avoid some of San Francisco’s notorious hills. Photo by the SF Bicycle Coalition. 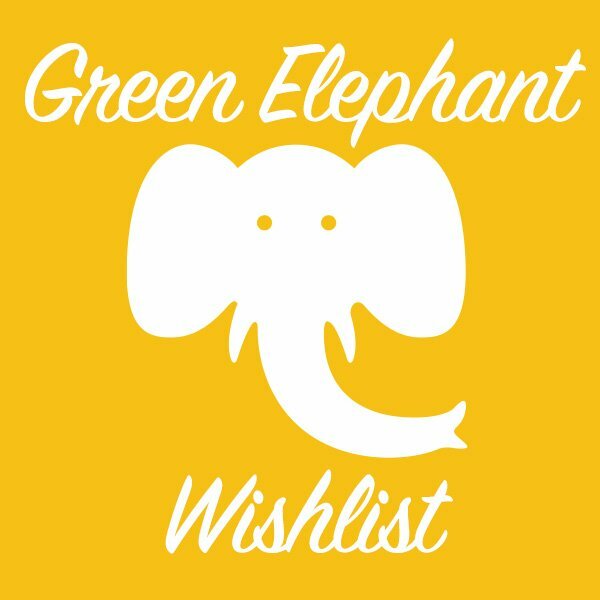 Looking ahead, we’re pushing for complete streets – transit, walking, cycling, and greening – on Market, Mission, Geary, Stockton, Van Ness, Third, Fourth, Folsom, Howard, Polk, and the Wiggle. We’ll actively support expansion of Bike Share to other neighborhoods. You can find us working to ensure that updates to the Regional Transportation Plan and Countywide Transportation Plan strengthen sustainable transportation, equity, and smart land use. We’ll speak up for Caltrain modernization, incluing electrification, a new train control system, the Downtown extension, and new or improved neighborhood rail stations in the Bayview, Mission Bay, and Bayshore. To improve mobility and reduce traffic congestion and pollution, we’re building on our successful efforts for further reform of the city’s parking requirements, better management of curb parking and loading, and strengthening incentives for walking, cycling, and transit. In 2015, Livable City worked to secure more public benefits from development. We supported expanding development impact fees to include market-rate housing, and ensure that development fees support walking, cycling, and regional transit. We also helped make sure that large projects provide public benefits and reduce traffic and safety impacts on neighborhoods. For the massive 5M project, we worked the SF Bicycle Coalition and Walk SF to ensure that the project improve safety for walkers and cyclists on surrounding streets, provide public open spaces, and reduce its traffic impact on the surrounding neighborhood. Looking ahead, we will revive neighborhood planning in San Francisco, increase city funding and maintenance for street trees, reduce flood hazards by integrating greening and permeability into streets and sidewalks, and simplify and modernize the City’s jumbled Planning Code. Ten years ago, Livable City launched its greenway network proposal, which envisioned an interconnected network of green streets and parks across the city, supporting active transportation, recreation, and nature. In 2015, we saw progress in connecting green spaces in the San Miguel Hills, San Francisco’s central mountain range which includes Twin Peaks, Mt. Sutro, Mt. Davidson, Buena Vista, Sunset Heights, and Glen Park. We argued for trail access through the Sutro Tower property as a condition of approving more antennas on the tower. We helped get the San Miguel Hills named a Priority Conservation Area. We worked with city agencies and open space and transportation advocatest on a plan for closing the east side of the figure-8 road atop Twin Peaks to create a bicycle and pedestrian path and viewing area. We are advocating for a Clarendon crosswalk to complete a link in the Bay Area Ridge Trail between Twin Peaks and Mt. Sutro. On the City’s waterfront, we supported plans for cycle paths on The Embarcadero and Marina Boulevard, and proposed better pedestrian crossings along and across The Embarcadero. Looking ahead, we will speak up for new and improved waterfront open spaces as part of the Watefront Plan update, and better walking, cycling, and transit access. We’ll work to expand trail and open space connections in the San Miguel Hills, and improve walking and cycling access and road safety in Golden Gate Park and along the city’s Bay shore and Ocean edge. In 2016, you will see Livable City help create San Francisco’s first affordable housing strategy, and continue to preserve and build the housing our city needs. We will foster the ongoing shift toward sustainable transportation by making the city more bikeable and walkable, and improve transit. We will revive comprehensive neighborhood planning, combining land use, transportation, streets, and public space. Let’s toast to a more livable San Francisco in 2016!